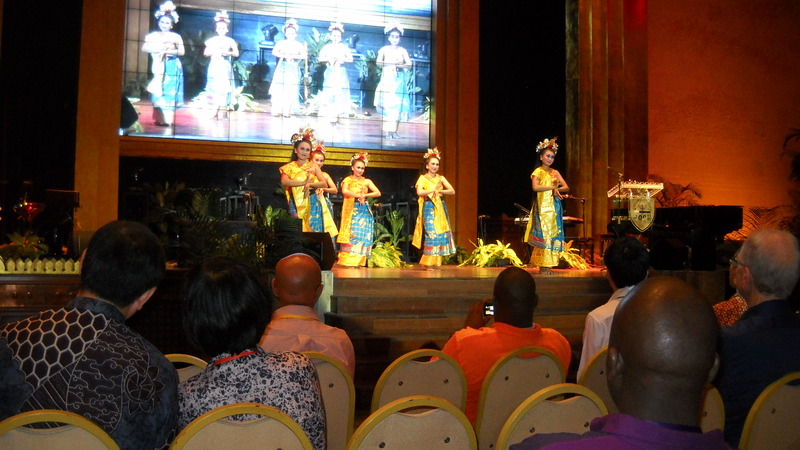 I returned from Bali, Indonesia late Saturday night, November 10th, after a very intense travel and conference schedule. I departed from LAX at 11:30 PM Sunday night, November 4th, arriving in Bali at 2:30 Tuesday afternoon. Monday got lost somewhere over the Pacific Ocean. The summit began with dinner and a special opening ceremony at the R.O.C.K. Church Tuesday evening – just enough time after arriving to take a quick shower, change clothes and jump on the bus. The summit officially got under way on Wednesday morning. We met from 8 AM until 9:30 PM each day – Wednesday–Friday – at the Aston Denpasar Hotel and Convention Center with breaks for coffee, lunch and dinner – so it was very much a working event, no time to get out into the city/country for sightseeing. The summit was attended by 431 participants from 48 different countries working in broad categories of ministry – everything from church planting, working with orphans or human trafficking to relief and development work in two thirds world countries in Africa and Asia. I met & strategized with people from Myanmar, India, Hong Kong, Macau, Ethiopia, Malawi, South Africa, Italy, France, Holland, Israel, Egypt, Brazil, Nepal, Australia, New Zealand, Canada, and the USA to mention just a few. Needless to say, it was a very inspiring and humbling to meet and share time with these very dedicated Servants of Jesus, many of whom live and work in the most challenging and difficult circumstances imaginable. 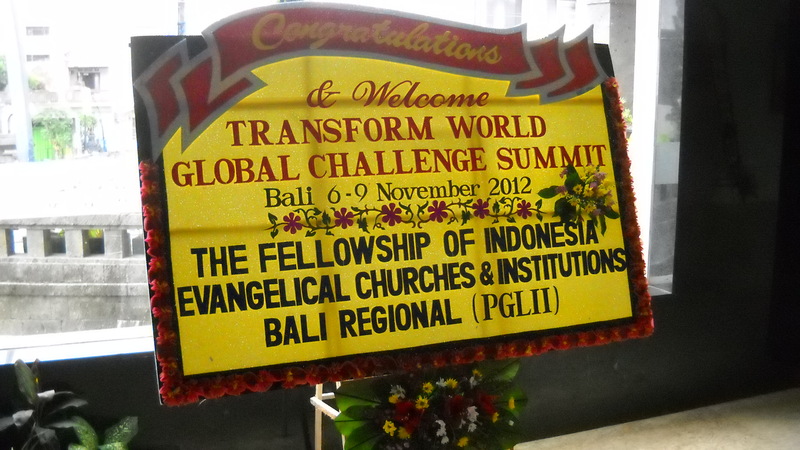 We had a number of plenary sessions sharing the vision, values and strategies of the Transform World Global Challenges Summit followed by smaller group gatherings in a number of different configurations: The Seven Spheres; The Seven Challenges; the Three Generations being mobilized and the 10 Regions of the World we work in. I’ll share more details about this in a future email. I’ll be heading to San Diego tomorrow to spend an early Thanksgiving with Rachelle & Kai but wanted to take a moment to Thank You for your prayer and support for this latest ministry trip. I think I picked up a bit of a bug so, in addition to serious jet lag, haven’t felt too good the past couple of days. I’ll return to Simi Valley on Sunday afternoon. I’m deeply grateful for your love and encouragement. Wishing you a Blessed and Refreshing weekend!